From the time I was a pre-teen, I have loved being in the kitchen. There were 6 children in our family and part of our school work was preparing lunch for the family on different days of the week. We were home schooled and so this was part of our home economics class. I loved when it was my turn to cook because it meant I could choose the entire meal menu, prepare and serve it all by myself! One of my favorite dishes to prepare was Tuna Noodle Casserole (which most of my siblings HATE today because I made it so much...haha!). I also loved making Swedish Meatballs, those were always a huge hit. Cooking with spices made things so much more tastier too. My mom taught all of us how to make home made spaghetti sauce and we usually had mom near by when we were adding the spices. Too much or too little was a fear that we all had and mom made sure we put in just the right amount. 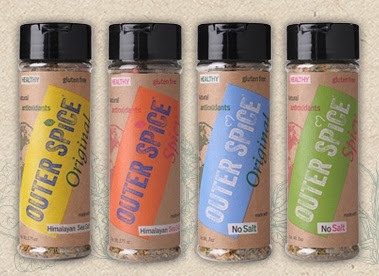 Based in Austin, Texas, Outer Spice was founded in 2010 by Ben Stevens. After a severe case of food poisoning that Western medicine could not cure, Ben journeyed to the Caribbean to seek an alternative, natural remedy. As he researched the healing powers of herbs and spices (which ultimately cured him) he began to study their flavor profiles and nutritional value. When Ben returned to the United States he started drying herbs and spices at home; making batches of his seasoning blends to give to his friends and family. He was excited and wanted to share all he had learned about the benefits of these natural ingredients and how they made cooking delicious meals easier, and ultimately helped him eat better. The next thing Ben knew, he was selling these homemade spice blends off the back of his truck at the local farmers market’. He was surprised at the amount of interest people had in his seasoning mixes and soon realized there was a real need for healthy, high quality, low Salt and No Salt, ready –to -use seasonings. Ben recognized to his surprise, there was nothing like it in the marketplace and behold, Outer Spice was born. I am always looking for new and innovative spices to add to my spice collection and so I was excited when Outer Spice offered to send me some of their spices to review. So, for this review I was sent Outer Spice Original Low Salt and the Outer Spice Spicy No Salt. The other two flavors from which you can choose are Outer Spice Original No Salt and Outer Spice Spicy Low Salt. The no salt variations are great for those of you who are trying to watch your salt intake. I am not one of those people...I love my salt!! The other great thing about these spices is that they are Gluten Free so if you struggle with gluten, these will work well for you. When I opened these bottles, I was pleasantly surprised to see such a variety in the spice mixture! It seems like each bottle is chock full of all different kinds of spices. They smell so fresh and vibrant too! The uses for these spices are endless...meat rubs, dressings, marinates, sauces, glazes, dips, or just a table-side condiment. My favorite way to use spices such as these are in my steamed vegetable dishes and also, in sauces like pasta sauce. 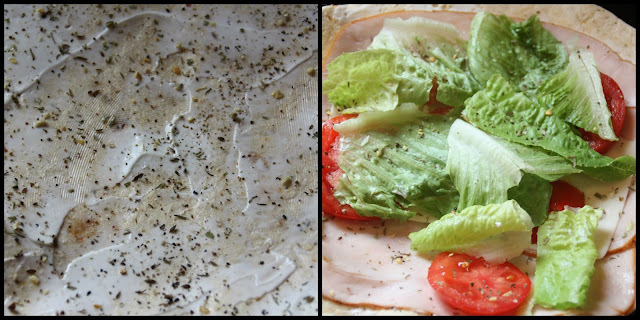 I have been loving using Outer Spice on my sandwich wraps. I made a turkey and veggie wrap the other day and added Outer Spice seasoning. Wow! The flavor was amazing! Just enough spice, just enough flavor and really, it added so much flavor to the wrap. 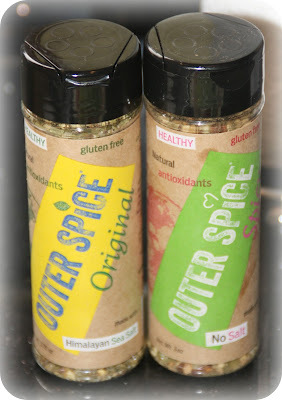 Outer Spice products retail for $6.99 per bottle and a little goes a long way so one bottle lasts quite a while. 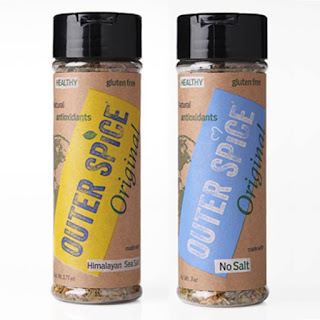 You can purchase Outer Spice directly from their website. I also wanted to mention that you can find Outer Spice on Facebook and Twitter so be sure you stop by there and check them out today! I loved trying out these spices and hope that you will try them as well...you won't be disappointed! Disclaimer: I received no monetary compensation for this post. I did receive free Outer Spice products for review purposes. All quotes and stock photos are from the sponsor's website and email. Prize is being provided and shipped by the sponsor. This blog is not responsible for lost, stolen or damaged prizes. All thoughts and opinions are 100% mine. I like to use spices instead of regular salt. I do like to use spices when I make different soups. I love making soup in the winter. I also use spices for vegetables. I use a lot of spices when I bake chicken and fry potatoes. Garlic salt and onion powder are favorites. I like adding spices to dressings and mayo but also to meats when I slow cook to add much more flavor lost in the long cooking times. I add powders rather than salts when I cook. I love to use them to season my recipes. I am on a low sodium diet and I use spices in my cooking to make my food taste good and not bland. I like to use spices as rubs for chicken, meat, and fish. I love to uses spices on everything! I use spices on pretty much everything I cook. 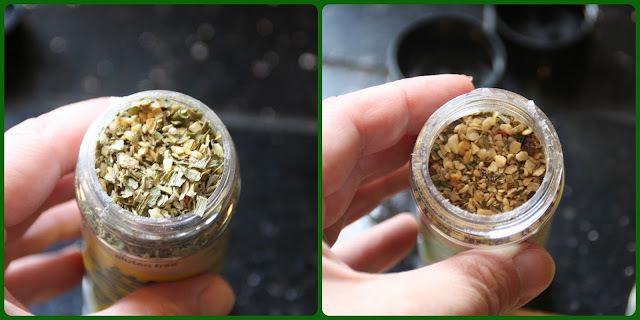 I use a no-salt 21 spice blend in just about everything I cook. I like adding spices to soups. i love seasoing meat with spices. i am not the best cook. I like to use spices when i making sauces and meat dishes. They are used to enhance the flavor of my dishes. I love to add spices to everything I cook. It gives it more flavor I think. I like to use spices that enhance the natural flavors of whatever I'm cooking. I left a comment on Happy September!!! I love to put spices on meat, especially chicken! I cook with as little sodium as possible so the Outer Spice No Salt would be great as I like to use spices to brighten up my cooking. We always cook with spices. They are added to everything from meat we grill to casseroles we bake. They really liven up the flavor of things. 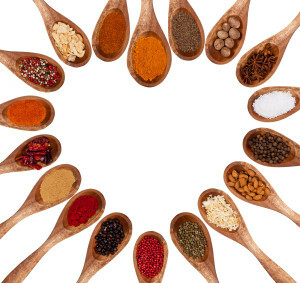 We like to use spices on meats and in soups and stews. I put them in burritos, stews, chili, everything! I love learning about and using new spices. I rarely cook anything without experimenting with spices! I use a lot of spices when I cook fish! Whatever I make, I spice it up! I love using spices. No two meals of mine, ever taste the same lol.